you to pay him money and not the other way round. type “operaen scam” using google search. This email is published here for information only. Note that we did not proceed to quote our price. Instead, I conducted a research and found the background before stopping the transaction. Btw, if I reply the email below with a price, they will definitely ask for the domain name to be appraised so that “they can be assured of a good investment price and they can sell the domain name at a profit later”. It makes sense, but they will not agree to let the domain name be appraised by the older (and proven) domain appraisal sites (e.g. Sedo), but they will insist that you visit their appraisal team and Pay for the Appraisal. What’s next? Nothing… thanks for the business and bye bye. 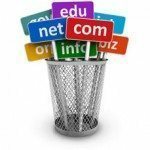 Your domain name will not be sold. I need to know the lowest price you can accept. What is your price range: $5,000 or $10,000 or even higher? Please send it to me via email as soon as possible. &gt; Good day, thanks for the mail. Please make your best offer instead. &gt; sell this name at a good investment price instead. &gt; Just additional way to generate income. &gt; Please email me price for your domain name mentioned in the subject line. &gt; it’s reasonable we’ll do business. &gt; list with prices for consideration. &gt; Looking forward to do business with you. &gt; message and deleting it from your computer. Would You Want This Done To You?